Microsoft has released its first ever Apple Watch app, but it’s probably not the one you may have expected. You can catch more details on this news right here. By updating its OneDrive cloud storage app, Microsoft has brought its offering to the wrist for those who have an Apple Watch. A free update to an already free app, this new version of OneDrive shows Microsoft’s commitment to iOS as well as Apple’s new smartwatch, with the software giant making sure that it is there on day one, ready to be given pride of place on our wrists. If you were wondering which aspect of OneDrive would make the transition to the smartwatch, Microsoft has opted to give users a way to browse their OneDrive-housed photos on the wearable device, with the app giving users a way to check out those cat pics even when their iPhone is out of reach or, more likely, they’re in a really boring meeting. We’ve all been there! While some may question the actual usefulness of the update, we think the big thing about OneDrive coming to the Apple Watch isn’t so much the app but the signal of intent on Microsoft’s part. 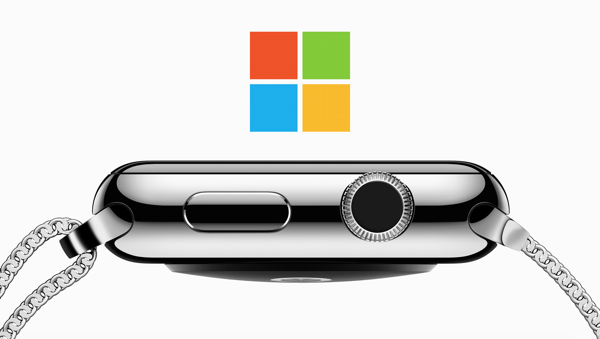 Microsoft famously kept the Mac afloat back when Apple was on the ropes, and with the Windows maker throwing its weight behind the Apple Watch so early on in its lifecycle we can’t help but think someone at Apple is sat grinning to themselves. Beyond the Apple Watch component, this new version of OneDrive includes an improved PDF viewing experience following criticism of the old app on that front. Well done to Microsoft for taking the feedback and acting on it, we say! 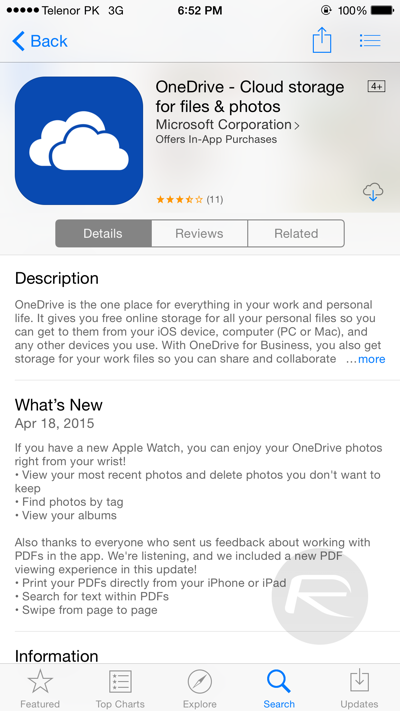 You can download the updated version of OneDrive from the App Store right now and we suggest you do exactly that, even if you don’t have your Apple Watch yet!